Kosovo’s new generation of scholars continues to aid the academia with lessons learned from the examples of transition and state creation of Kosovo. Ilir S. Hoxha’s work on measuring, regulating, and evaluating health care services helps understand and improve health care services in Kosovo. Ilir S. Hoxha is one of the leading researchers and practitioners who are working on improving the provision of health care services in Kosovo. 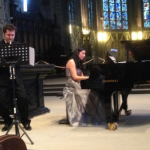 Ilir is currently a PhD candidate at the Institute for Social and Preventive Medicine at the University of Bern in Switzerland. Prior to this, he has been a Fulbright Research Scholar at the Dartmouth Institute for Health Policy and Clinical Practice in New Hampshire, USA. Ilir has also a MSc on Health Systems Management from the London School of Hygiene and Tropical Medicine in the UK. Ilir’s professional and academic interests lies in measuring of variation in provision of health care services, as well as health economics and evaluation of health services, including the assessment of impact on health, cost effective analysis, assessment of coverage, quality and access. In addition, Ilir is also engaged in studying and advising on the regulation of health care service delivery in public and private sector. Ilir has been pioneering the medical practice variation study with Kosovo data. Medical practice variations examine the difference in medical practice by physicians and hospitals that lead to differences in health and system outcomes. 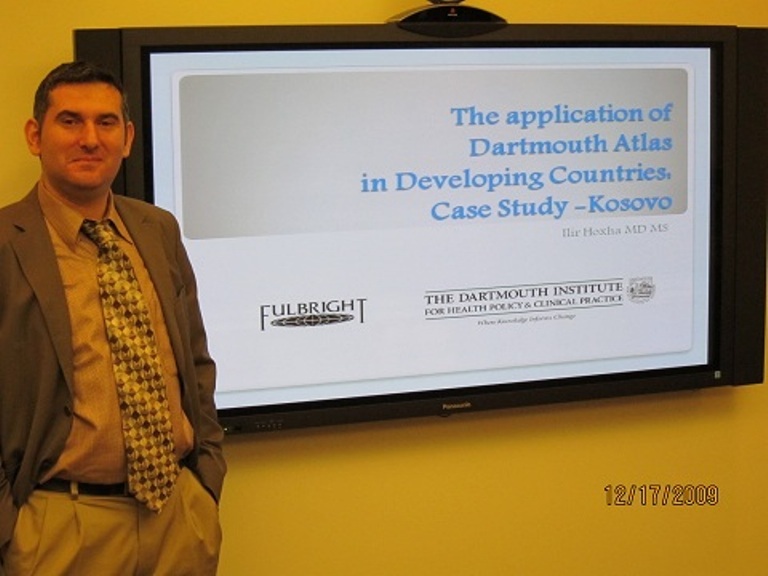 In 2009 he was awarded Fulbright Research Fellowship for the research project that aimed to explore the prospects and limitations for using Dartmouth Atlas methodology in evaluation of clinical practice performance in developing countries, using Kosovo as a case study. In analysis of human resources in health sector in Kosovo, there was notable variation in supply of primary care physicians and nurses across municipalities. Sometimes three time more and sometimes three times less than national average. The supply of physicians is known to affect the supply of services. This work was followed by couple of pilot studies in frames of Hospital Performance Studies in auspices of Foundation for Healthy Mothers and Babies. Latest work of Ilir is related to measurement of practice variation in Obstetric care in Kosovo. He is also involved in researching the different prospects for establishing health insurance schemes in Kosovo. Hoxha I, Shaipi K. Comparative analysis of health care systems in SEE. IQ Consulting (intended audience: Kosovo Parliamentary commission for Health, Labor and Social Welfare), 2009. Hoxha I, Bajraktari I, Kotori V. Antenatal Care Services in Kosovo, United Nations Children’s Fund (UNICEF), 2008. Hoxha, I. (September, 2008). Monopoly power in Tertiary Healthcare – UCCK case. Unpublished paper presented at The Annual conference of Al-Shkenca, Tirana, Albania. Bloom, J.D., et al., Ethnic segregation in Kosovo’s post-war health care system. European Journal of Public Health, 2007. 17(5): p. 430-6. Ilir has also played an active role in academic cooperation among instructions in Kosovo and abroad, notably in the field of medicine and public health. These efforts have supported in numerous ways the education processes, exchange of experience as well as build up of concrete projects and efforts. Recently he has been active in development of programs and projects between Kosovo and Diaspora partners in Switzerland. Some of these programs should support the new health insurance scheme, progress of patient’s rights and establishment of association of medical professionals from Kosovo in Switzerland.